The town of Wolfville is nestled in the beautiful Annapolis Valley surrounded by the Minas Basin and overlooks beautiful Cape Blomidon. Wolfville is home to Acadia University where you’ll find many historical buildings of architectural beauty. On campus you will find the Harriet Irving Botanical Gardens, featuring lush gardens and greenhouses showcasing native flora of the Acadian Forest region. Wolfville’s Main Street is a popular spot with several shops and eateries . You will also find the Acadia University Art Gallery. Visiting in the fall? 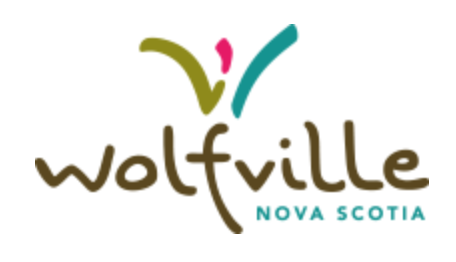 Some of Wolfville highlights include The Canadian Deep Roots Music Festival, the Nova Scotia Fall Wine Festival and the Valley Pumpkin Festival and the Devour Food and Film Festival. In the winter you can find such activities as snowshoeing, cross country and downhill skiing, finding and photographing the hundreds of bald eagles that find their way here each year. In addition to several Farm markets in the area offering a wide range of fresh and local fruits and vegetables, many feature their wares at The Wolfville Farmers’ Market as they welcome you each Saturday morning offering fresh fruit and produce, crafts, artistic pieces from local artisans, foods and baked goods from local bakeries, coffee shops and restaurants. Take a tour of one of the nearby wineries with several offering award winning wines from the local harvest of grapes. Domaine de Grand Pre Winery, L’Acadie Vineyards, Gaspereau Vineyards, Blomidon, Luckett’s Vineyards and Planters Ridge are just a few. Some of the wines carry unique names such as Phone Box Red, Blow Me Down and Tidal Bay. Wolfville and area is known for it’s wide selection of restaurants, pubs and eateries offering everything from craft beer to exquisite fine dining. Relax and enjoy the breathtaking views on a number of charming patio’s in the valley. With over 20 restaurants to choose from within a ten minute radius of Wolfville the palette will be pleasantly pleased as will the eye if you are sitting in the right spot. Some of our favourites include Lucketts, Le Caveau at Domaine de Grand Pre, Troy, Joe’s Food Emporium, The Port Pub, The Noodle Guy, The Naked Crepe, and Paddy & Rosie’s.